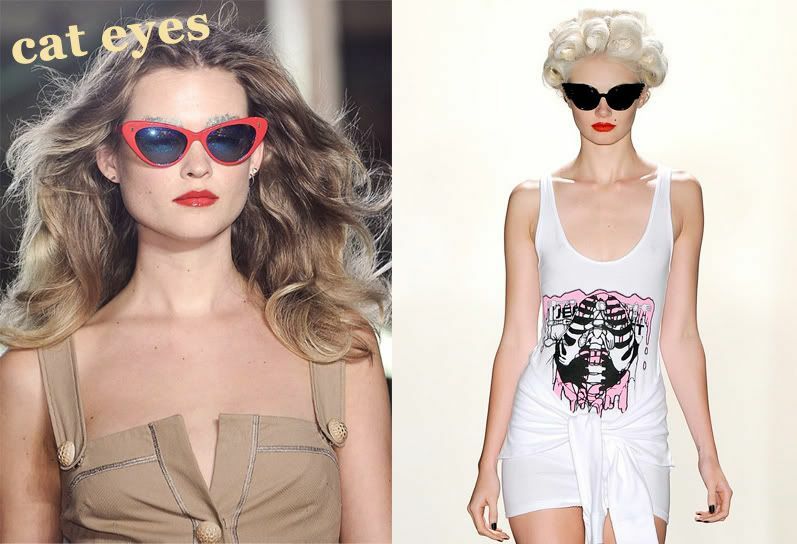 spring /summer 2011 trends: what do you think? I'm just going to dive straight into this because it's quite a big post and the title speaks for itself I think and so here they are..
More aspects of the 70's are back! This time with sophisticated glamour and bohemian. My perfect work and play outfits will no doubt consist of these 2 influences throughout the first part of the year. I'm not the biggest fan of punk fashion as an influence. I think it can be taken as 'you must dress punk' rather than minimally using the way that items are accessorised with studs, safety pins and rips etc and so it will often be viewed as an over the top trend. But i do like studs and rips here and there! 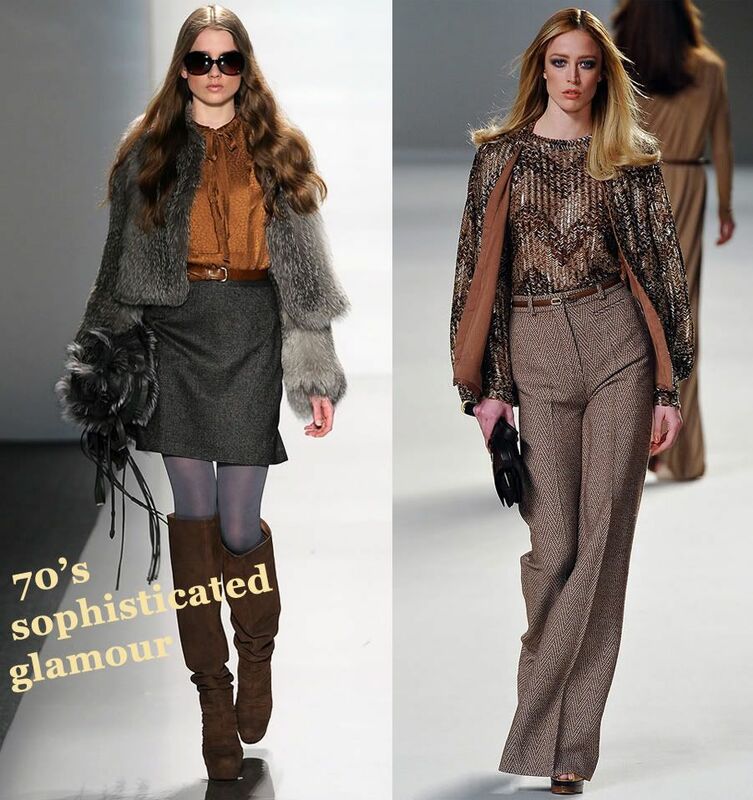 In 2010 jumpsuits and playsuits were big and now it seems that they will continue to be all throughout 2011, even the autumn/winter predicted trends include them in some aspects. Following the sophisticated glamour trend there will be a lot more 'wear to work' jumpsuits this season and I for one will be looking for my perfect smart playsuit. I think that tail hem dresses and skirts were slowly appearing in autumn 2010, from what I can remember anyway. These are those that are longer at the back than the front. At first it seemed that people didn't know what to call this style and so we saw the mini/maxi dress name, I much prefer the term tail hem dress I must admit. Though I don't think i'll be investing in one, at least not an obvious tail hem. 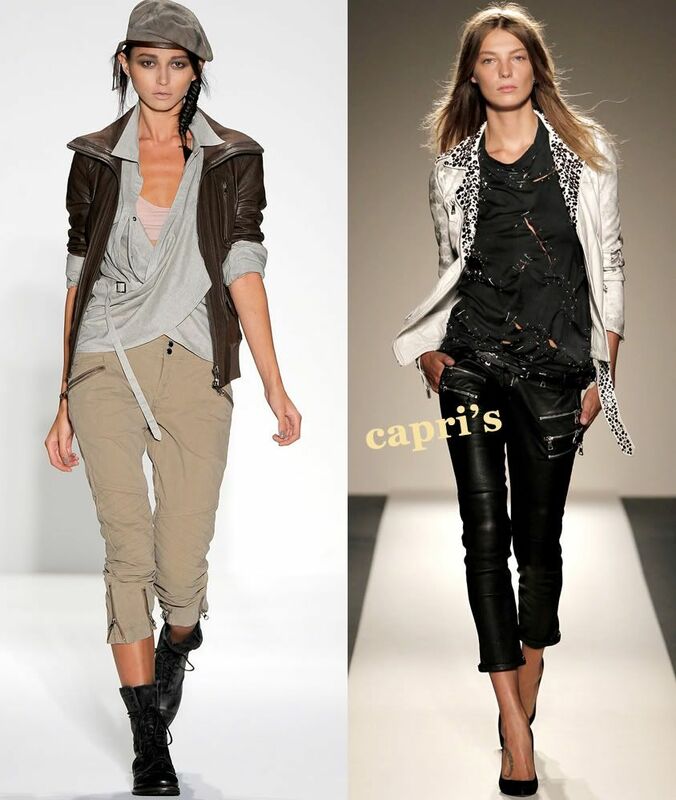 All last summer I wanted a pair of capri pants but couldn't find the right style to suit my body shape. 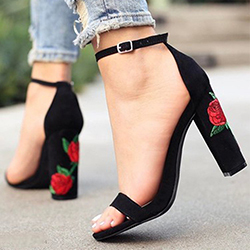 This season there should be tons in stock to pick and choose from but now bares the question.. what shoes do I wear with them? New ones of course! Nautical was a huge trend last year and the majority of us loved it (my love developed over time!) 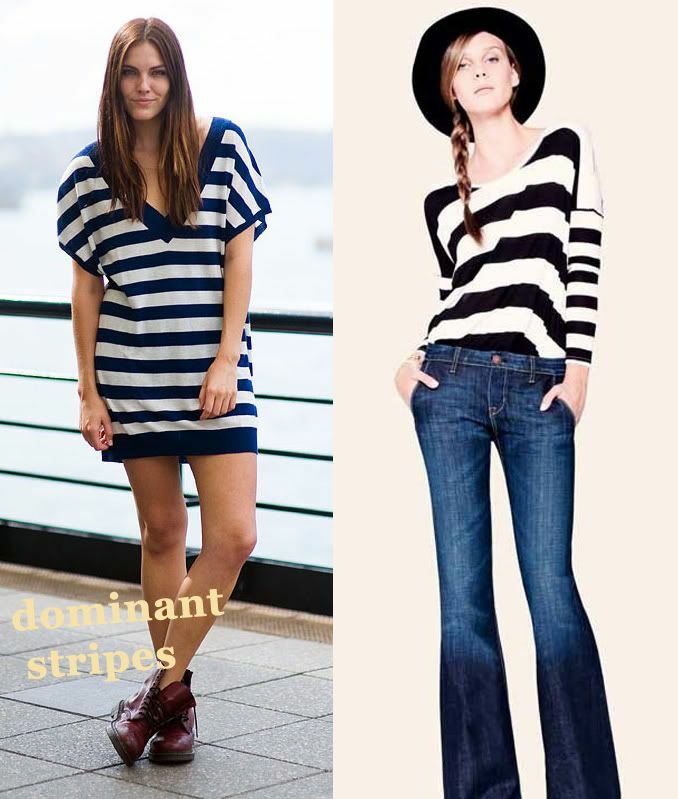 This year navy's, sailor-esque dressed and anchors are still drifting about but it's more about the dominant stripes, navy's in particular. It seems that a lot of last years trends are evolving further this year which is great because it's always the best of the trend that will dominate. Lace clothing is of course lingering for a little while longer but now it is antique classic lace patterns that the are thing to go for. These cat eye sunglasses from 50's / 60's glamour completely remind me of going to the pantomime when I was younger. There are more subtle cat eyes slowly appearing online so at the risk of looking like you're in drag it might be best to go for those.. but who knows if this trend will lift off or not? It will be interesting to see. 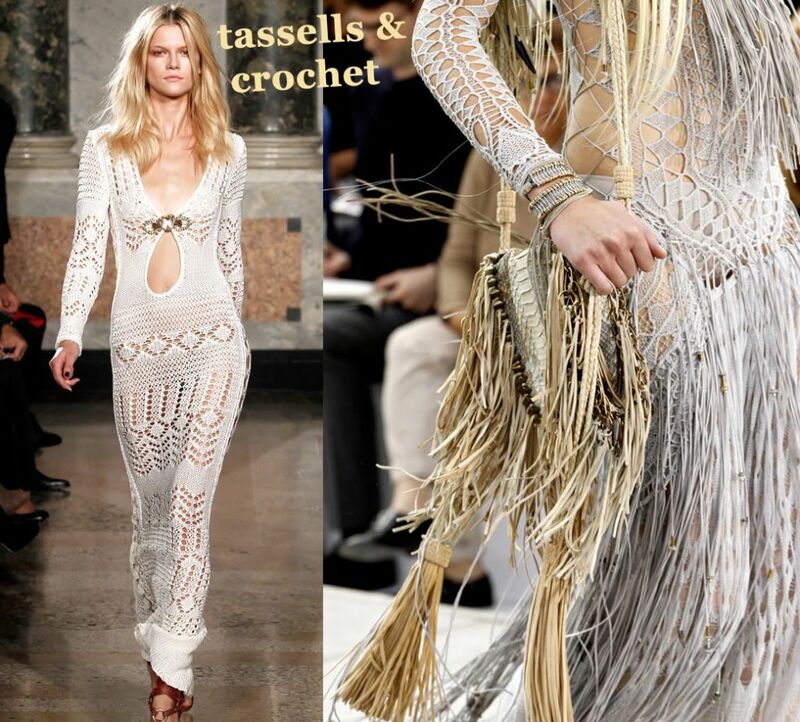 I think that the appearance of crochet and tassels has followed on from lace coming back into fashion. I'm a great lover of crochet especially when it comes to waistcoats and summer cover ups but tassels i'm pretty sure are not for me ..maybe on handbags? There are so many trends this spring /summer that it's quite overwhelming but then we shouldn't complain because there can be so much diversity in your wardrobe and there will still be a lot of use in your 2010 wardrobe as well! 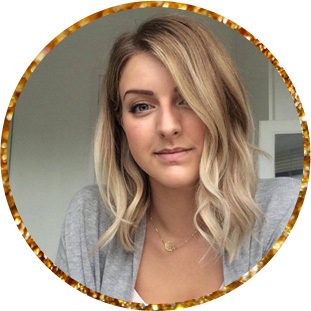 If you are interested in a post on the up and coming hair trends please let me know as it's something i've also been looking into :) I hope you liked this post. Thanks a lot for reading! Just like all catwalk trends, until the highstreet dupes them in an easier to wear format, I don't think they're too impressive. I won't be touching clogs or crochet! I love the collections! I love the Balmain collections the "punk" stuff. He has some really cool leather pants!! Love your blog! Happy New Year! I somewhat agree Phoebe. Although I like to see what the designers are putting out there it's the dupes and highstreet designs that i'll be shopping for and what i'm looking forward to. There is maybe 2-3 things that i would actually like to buy /wear in this post. The highstreet is where it's at! Fab post, am so looking forward to buying spring/summer clothing again! Especially loving the nautical and boho pieces!